Whaling in BC waters had reduced the humpback whale population by almost 90%. Now their numbers in the North Pacific are close to the level they were before whaling started! 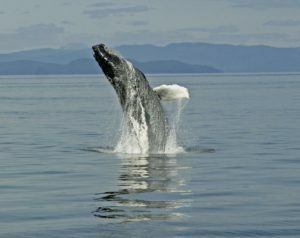 Humpbacks are even being seen regularly in the Salish Sea for the first time for many years. Come learn about this important species, as well as the science behind the story of how Humpbacks in the North Pacific have recovered. ← The Nature Centre is hiring!